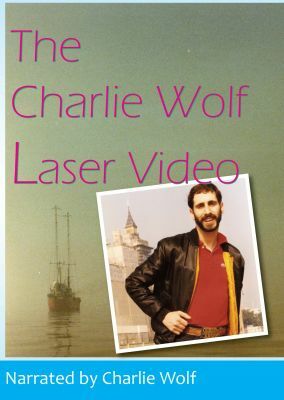 Charlie Wolf - Laser Radio's funniest and zaniest night-time sensation brings his 'Fever Pitch' madness to the television. Written and directed by Ray Anderson and The Seawolf himself, this video is just as funny as his off-the-wall Radio Laser programmes. The programme is a semi-fictional story of Charlie leaving the 'm.v. Communicator' rowing up the River Thames to the Houses of Parliament, visiting his ol' buddy Dennis Thatcher for a haircut at "Thatch's" of Downing Street, then it's off to some of London's more prominent radio stations in search of a job. A must for any free radio/Laser 558/Charlie Wolf fan or self respecting anorak! You'll hurt yourself watching this one. A promised treat from Charlie Wolf and EAP studios.